The Cubs absolutely pummeled the Reds on Thursday night, scoring sixteen runs to Cincinnati’s zero-spot. But it wasn’t the blowout by the Cubs — including the “home run cycle” of a solo homer, a two-run homer, a three-run homer and a grand slam — that the baseball world was buzzing about when the final out was recorded. Instead, it was once again Jake Arrieta. Arrieta only struck out six batters in the game, but he was still able to mow down the Reds’ batters, throwing the first no-hitter of 2016, and the second in his last eleven regular season starts. With the no-no, Arrieta joins Max Scherzer, Tim Lincecum, Homer Bailey and Justin Verlander as the only active pitchers with multiple no-hitters for their career. But there’s something about Arrieta that makes this no-hitter extra special. Once a forgotten man within the Orioles’ system, in which he posted ERA’s well above 4.00 in each of his four seasons in Baltimore, Arrieta has been dominant ever since arriving on the scene with the Cubs in 2013. Through four starts this season, Arrieta is 4-0 with a 0.87 ERA, and has been the biggest part in leading the Cubs to having the best team ERA in all of baseball of 2.14. Winning the Cy Young award last season for his historic outings, Arrieta is well on his way to doing so again this season. Having gone 20-1 in his last 24 regular season starts, with a collective 0.86 ERA, Arrieta has transformed himself into something special as of late, and there are no signs of him stopping anytime soon. But with the Cubs now 12-4, and with the best winning percentage among all the teams in baseball, there is something more important on the minds of people than Arrieta individually. The question many people are asking with such a hot start is whether or not 2016 will finally be the Cubs’ year as had been predicted before the season began. If Jake Arrieta has anything to say about it, the answer very well could be yes. First for Cubs: World Series or All-Star Game? It was reported recently that Wrigley Field will be the site of the Major League Baseball All-Star game sometime in the very near future. Logic would point to them being the hosts in 2019, after the All-Star game has been on display in San Diego this season, Miami in 2017 and Washington D.C. two years down the road. However, no official announcement has been made as to the exact year the midsummer classic will be held up in Chicago. The last time the Cubs hosted the All-Star game was back in 1990, with standout players such as Wade Boggs, Ken Griffey Jr. and Rickey Henderson, among many others, leading the American League to a 2-0 win over the National League. With such a long drought, it would seem only right that the Cubs receive another All-Star game. Even so, as everyone around the baseball world knows, it’s not the 26-year All-Star game drought that the Cubs are famous for; it’s their 71-year World Series appearance drought (108 years since their last World Series title). But despite the fact that the Titanic sinking is more recent history than the last World Series Championship for the Cubs, there are many people who believe that 2016 could finally (this time for sure) be the Cubs’ year. Currently possessing an unbelievable roster — even better than the one that took them to the postseason in 2015 — the Cubs appear to be in good shape headed into this year. They added veteran John Lackey this offseason to their already good rotation of Jon Lester and Jake Arrieta. Combine that with the pickup of Jason Heyward to man the outfield, and young stars Kris Bryant, Kyle Schwarber, Addison Russell and Anthony Rizzo looking to build on great 2015 campaigns, the Cubs are definitely a team to watch closely this coming season. With all of their talent, however, comes the question of which is more probable to come first: a World Series Championship for the Cubs or an All-Star game at Wrigley Field? Given that Chicago (as previously stated) won’t be able to host the All-Star game until at least 2019, the Cubs have three full seasons to realize the dream that has been used as a trivia question for decades. But just getting to the Fall Classic is extremely difficult, as has been proven in the past, so your guess for which comes first is just as good as mine. Despite all of that, I have to find myself believing in the Cubs and their chances of finally winning the World Series in the next three seasons. Sure, some of that belief may just be me as a baseball fan hoping for the Cubs to break their century-long World Series drought, but I honestly think they have a group of guys that can pull it off. Only time will tell if they win a title before they once again host an All-Star game, but after 108 years of disappointment, why can’t 2016 (or 2017 . . . or 2018) be their year? Things couldn’t have been any closer statistically between Dallas Keuchel and David Price. Keuchel posted a 2.45 ERA on the season compared to Price’s 2.48 mark; Keuchel won 20 games, while Price netted 18; Price won in the strikeout race, but only by a total of nine punchouts. To make a long story short, their seasons were nearly identical. Because of the close race, I unsuccessfully picked Price to win, but Keuchel ultimately had a slight edge by pitching 232 innings that included three complete games and two shutouts. In addition, Keuchel set the record for most games won at home in a single season without a single loss, with 15 (the previous record was 13). For those reasons, the end result wasn’t as close as many had predicted. Dallas Keuchel won the Cy Young award fairly easily, receiving 22 of the 30 first place votes for a total of 186 points, with David Price coming in second with 143 points and 8 first place votes, and Sonny Gray coming in third with a total of 82 points. The season Dallas Keuchel had was inarguably unbelievable, and it should be very interesting to see if he can keep it up moving forward. 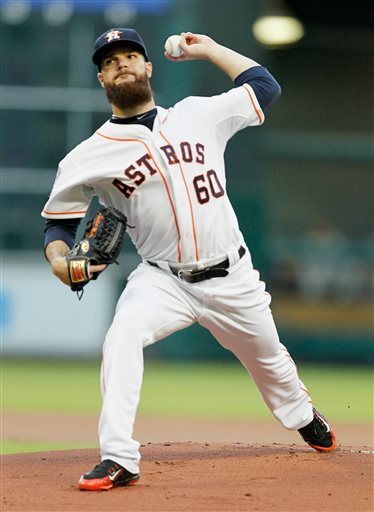 Keuchel becomes the first Astros pitcher to win the Cy Young award since 2004, when Roger Clemens won the honor. As close as the American League Cy Young race was, the National League side of things was even closer. With Jake Arrieta, Zack Greinke and Clayton Kershaw all having terrific seasons in vastly different ways, it was difficult to pick between them for who was most deserving. Even so, it was Arrieta who wound up winning the National League Cy Young award. While Greinke’s 1.66 ERA was unfathomable, and Kershaw continued his dominance with 301 strikeouts, Arrieta did something in the second half of the season that I feel truly put him over the top in the Cy Young voting. Following the All-Star game, Arrieta went on a stretch never before matched in the history of the game. 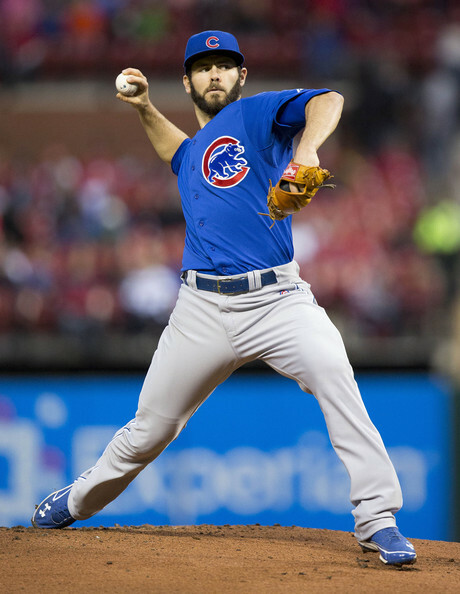 Arrieta posted a mere 0.75 ERA over the entire second half of the season, bringing his ERA down to 1.77 on the year, and ultimately was a big factor in the Cubs making the postseason. Jake Arrieta got 17 total first place votes for a collective 169 points, barely beating out Zack Greinke’s 147 points including 10 first place selections, and Clayton Kershaw who received three first place votes of his own but finished third with 101 points. The fifth Cubs pitcher to ever win the award, and the first since Greg Maddux in 1992, Arrieta continues the Cubs’ offseason award winning streak. With Kris Bryant winning the Rookie of the Year and Joe Maddon picking up the Manager of the Year award, the Cubs become the first team with three major award winners since the Mariners in 2001. With this year’s Cy Young award race being the closest it has been in years, it makes everyone around the baseball world begin to look ahead to the 2016 season. The best teams are usually the ones with great pitching, and it should be fun to see how Dallas Keuchel and Jake Arrieta, and their respective teams, do in 2016 and beyond.